If you have a child who is struggling in school or their daily actives due to sensory processing issues, the good news is that there are several ways to overcome their difficulties. Over the past decade, various therapies have been created to help children with sensory processing issues. The right ones for your child will depend on their personality and learning style. Here are some ideas for helping your child handle their sensory processing issues. What Is a Sensory Processing Disorder? A child with a sensory processing disorder has a problem receiving information as well as responding to the information that they do receive. Some people are overreactive and sensitive to their environment. That makes things in their surroundings more intense and overwhelming. For some, it can be debilitating and painful. Other symptoms of a sensory processing disorder include being uncoordinated, having low proprioception, bumping into things easily, and difficulty with social interactions. Since sensory processing issues affect a child on different levels both physically and emotionally, activities used to target the intensity of their sensations work best. Encouraging fine motor activities with a high degree of tactile sensations is a great way to desensitize a child’s overreactions. You can help your child to calm down the intensity of their tactile feelings by introducing playdoh, slime, sand, and other sensory items, and turning them loose to explore. Another sign of a sensory processing issue is picky eating. Not only do children with sensory processing issues have a hard time with lights, sounds, and feels, but they also have a difficult time eating different foods. To desensitize them to the overreaction that their body displays, try introducing different types of foods and textures. Make the foods you serve tasty to reduce their resistance and to encourage a positive feeling when they engage in eating things that might send their senses reeling. If you already know that they like a particular food, try it in a different form. Mash foods up, cook them with different spices and textures, and make other small alterations so that your child can explore while still having a positive experience. For a child living with sensory processing issues, the smallest of things can be too great for them to handle. A sensory processing disorder can affect your child on many different levels. The best way to treat it is through desensitizing those reactions through experience. 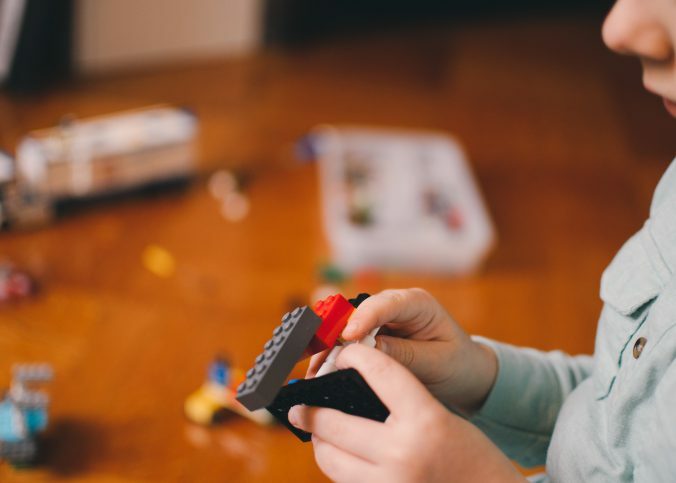 Activities that involve different tactile and oral sensations are great to help your child overcome some of the discomfort associated with their condition. For more ideas of programs and activities for your child, contact iQurious Kids today!